Adidas has a way of seamlessly blending design elements from decades past with trends of today and ideas of the future. This design principle can be seen on so many of their recent lifestyle silhouettes and this latest release is no different. 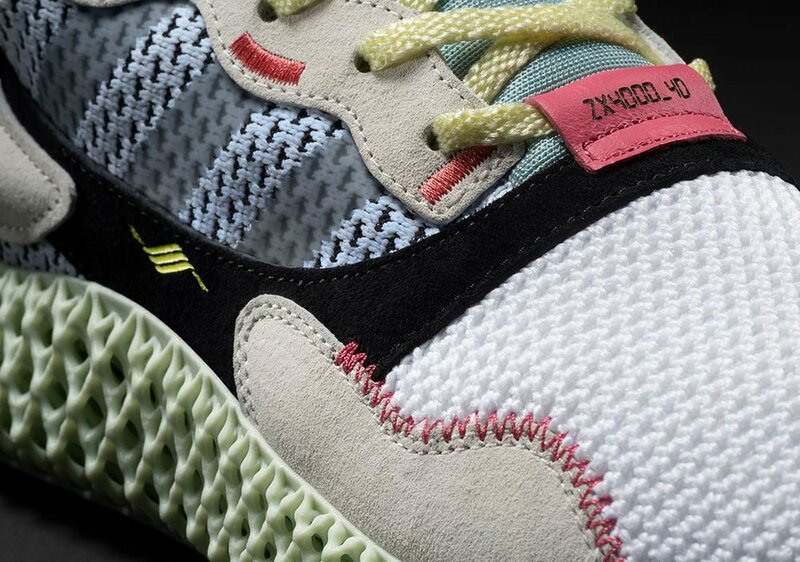 First teased last summer, the ZX 4000 4D garnered so much attention. From the colors to the styling and of course the 4D midsole, everything about this sneaker is heat. The Futurecraft technology is next level for Adidas and I hope this ZX 4000 gets more releases. While most of the 4D sneakers from the Three Stripes feature a sportier upper, the ZX 4000 4D opts for a more modern lifestyle look. The white and grey Primeknit and suede upper is covered in accents of yellow, mint green and hot pink. All of the colors on the upper perfectly compliment the mint green Futurecraft midsole. Completed with a black Continental outsole and Trefoil branding on the tongue and sides, you can take a closer look at these futuristic kicks below! 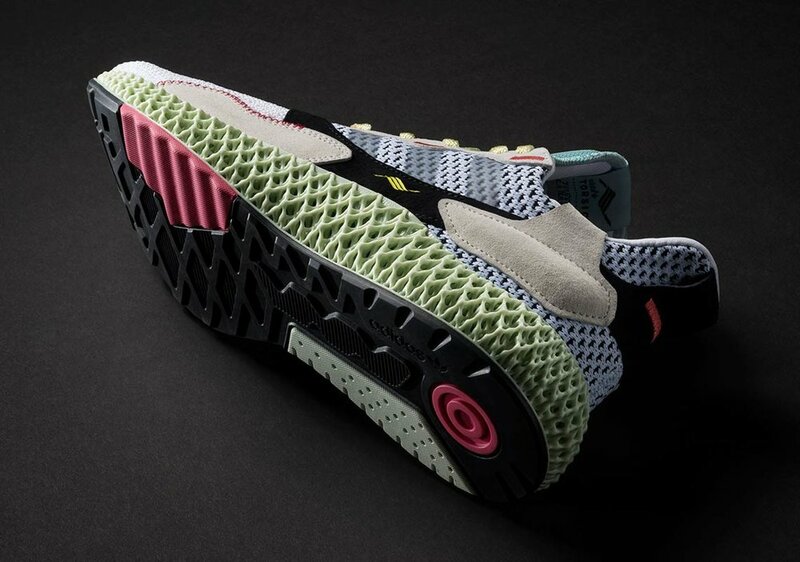 Adidas’ ZX 4000 4D has been on the wishlist since the first images were teased way back when. Now, we finally know these sneakers will release February 9 for a retail price of $350. We know these kicks will be pretty sought after, so we’ve linked a few raffles below. If you need these 4D kicks as much as we do, you can SHOP THE SNEAKS below on release day! A win for Superbowl weekend. This sneakHER is a sleeper + easy on the wallet. We're searching in the daytime with a flashlight. You know, that shoe that was PRINTED. A runner with some style.